Nobody can deny that the first Transformers movie was cool, it was one reboot Michael Bay supervised which kind of worked. In other not so successful reboots from bay we must remember movies like Friday 13th, A Nightmare on Elm Street and the Texas Chainsaw Massacre. So we know he isn’t always right. The Teenage Mutant Ninja Turtles reboot will demolish the original origin of the Turtles who this time around wont even be Mutants but Funny Fighting Aliens. WTF MB. It will be like Teenage Mutant Ninja Turtles but without the whole “Mutant Ninja Turtles” bit and will probably star someone who has never acted before as April O’Neil. But stuff will get blown up. 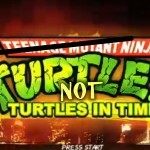 The Turtles reboot is still in early development and will be heading for a late 2013 – early 2014 release date which will be around the same time as the new Transformers movies will begin. 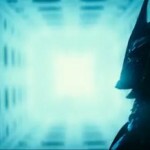 The latest Teenage Mutant Ninja Turtles trailer looks amazing and actually makes me want to see the movie. 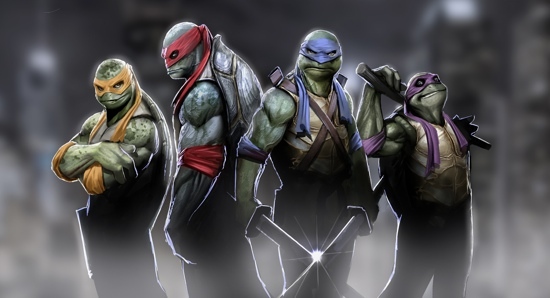 It focuses less on Megan Fox and shows off the new look Turtles in all their glory. The first trailer for Michael Bays reboot of Teenage mutant ninja turtles has been released and although it’s short it does look pretty good. The first pictures of Megan Fox as April O’Neil in next years Teenage Mutant Ninja Turtles movie. These were taken on the New York Set with what looks like the new Channel 6 news van. The first cast member to sign up to Michael Bays Teenage Mutant Ninja Turtles reboot is the last person you would think as Megan Fox signs to play April O’Neill.